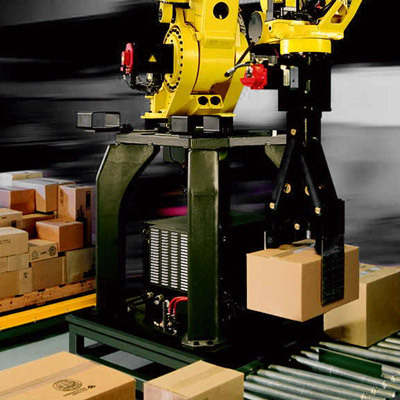 The M-410iC/500 palletising robot replaces the M-410iC/450. 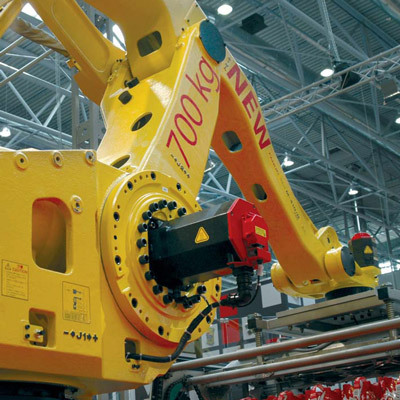 Stronger and faster than the 450, the M-410iC/500 improves throughput and will lift 500 kg. 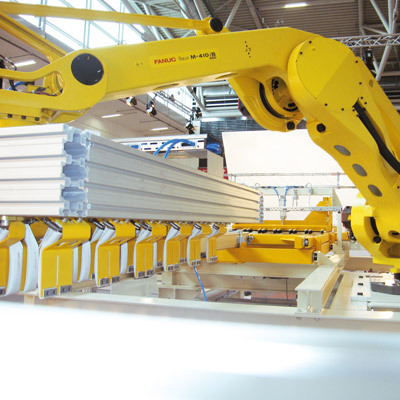 Designed specifically for the job by the company that built the world's first dedicated palletising robot, the M-410 series is the solution for palletising and handling applications. 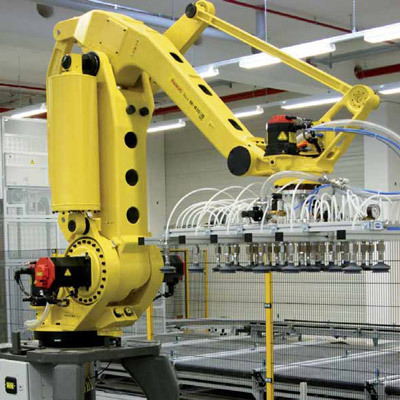 Cable routing through the robot's wrist prevents snagging and increases reliability. 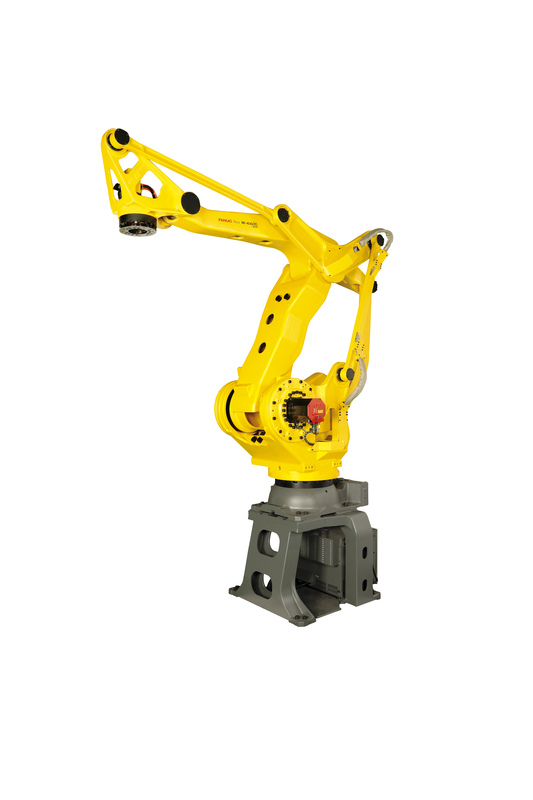 Depending on the application, the M-410iC/500 can be pedestal mounted for more flexibility. 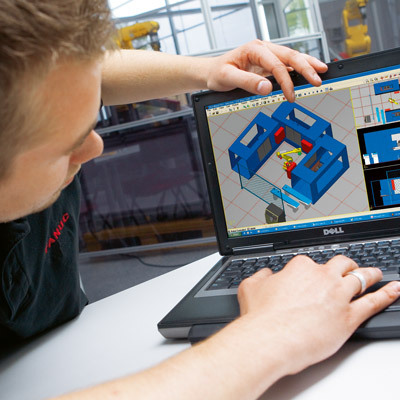 The robot controller can either be housed within the pedestal or separately as an independent unit. 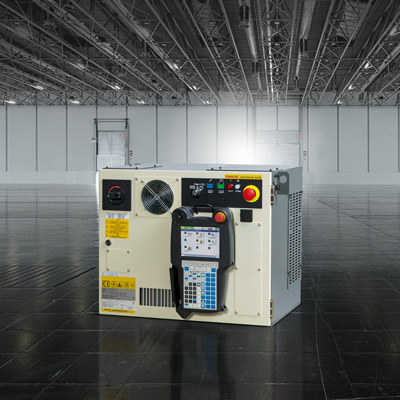 Fitted with FANUC iRVision, the M-410iC/500 is capable of locating and handling randomly positioned boxes and other items. 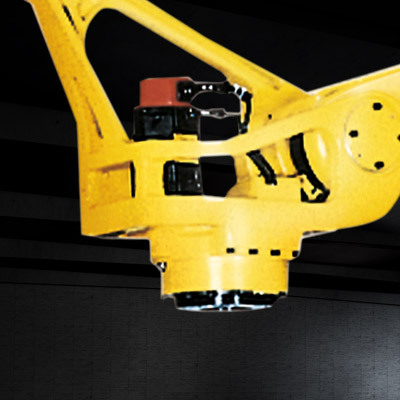 Check out the super heavy payload 410iB/700 model.